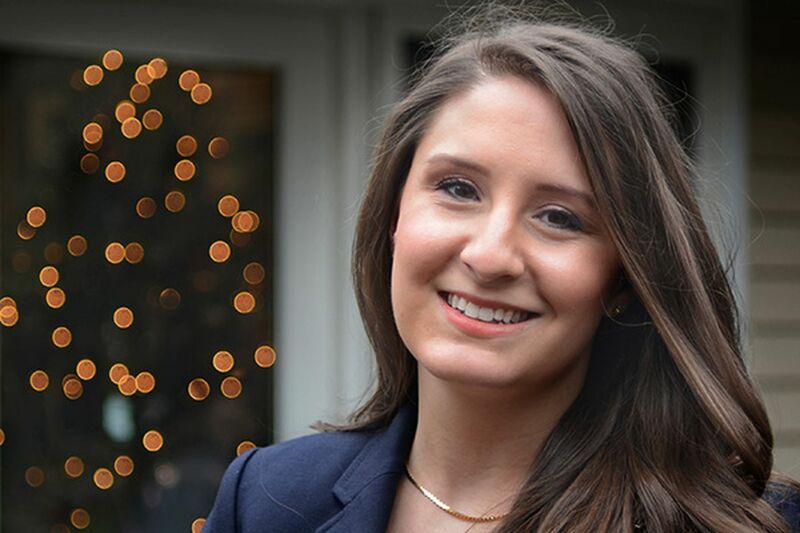 At 26, Victoria Napolitano says she's prepared to become Moorestown's mayor. "Age isn't everything," notes the first-term Republican councilwoman, who is expected to be sworn in Tuesday during the township government's annual reorganization. Napolitano was the top vote-getter in the 2012 council race; Republicans currently control the council 4-1. Members of the majority generally rotate the office of mayor among them. "The ability to get things done . . . comes from actually doing the work," says Napolitano, who on council has been involved in open space and technology matters. "I've been doing the work." Upon taking office, she would be among the youngest (and perhaps the youngest ever) to serve as Moorestown's mayor. Local historians, libraries, and organizations - including the New Jersey League of Municipalities and the New Jersey Conference of Mayors - were unable to confirm whether Napolitano will make history. But township history is expected to be made Tuesday when her fellow Republican, Manny Delgado, is sworn in - becoming the council's first member of Hispanic descent. "I haven't really thought about that too much," says Delgado, 44, a father of four who is executive director of the Cramer Hill Community Development Corp. in Camden. "My family and I have been embraced, which speaks well of Moorestown and the Republican Party," Delgado says. Napolitano, he adds, "is highly skilled. . . . She's done a wonderful job on council. She's a dynamic person." I meet Napolitano at the gracious West Moorestown home she shares with Vinny, 27, her husband of nearly four years. He is Gov. Christie's director of constituencies, and she is a designer of e-learning materials for an international data and information firm in Philadelphia. The couple met at Union Catholic High School in Union County, where both grew up. Chosen "most likely to be elected to office" by her classmates, Napolitano voted in her first election in 2006, the year she graduated from high school. She went on to earn education degrees in a combined bachelor and master's program at Drexel University. "About four years ago, we were looking to settle down in a great community," says Napolitano, who was attracted by the township's abundance of organizations and activities. "Moorestown was the obvious choice." She got involved with residents seeking to improve the Camden Avenue business district in the Lenola neighborhood and volunteered to fill a vacant seat on the Burlington County GOP Committee. But a bona fide turf battle helped put Napolitano on the political map. She opposed using open space money to build athletic fields of artificial turf, a money-saving plan that had Republican support; the township opted to use other funding mechanisms, she says. Despite her differences with some GOP county committee members about the turf issue, Napolitano was invited to run on the GOP council ticket in 2012 with Phil Garwood, who, like her, is in the middle of a four-year term, and Pete Palko. Palko lost to Greg Newcomer, now council's sole Democrat. "I knocked on about 5,000 doors," Napolitano recalls. "Some I knocked on twice. I was new to town, and young, and I had the most ground to cover." "It was important to me to meet as many people as I possibly could," she adds. "The main takeaway I got from them was, 'Please keep our taxes low.' "
Says Newcomer, 62, who sells LED products and equipment: "The five of us have one vote each, and we have a lot of solutions to find - the old library building, where the police and courts are going to go. ... I've worked with Democrats, Republicans, and independents for years in Moorestown. I will continue to serve in a bipartisan and civil manner." During our conversation, Napolitano strikes me as bright, earnest, and well-versed in all things Moorestown. I ask if she's an idealist as well. "I'd say I'm an optimist, but also practical," she says. "I understand the realities. But I believe the council - all five of us, not just the four Republicans - are going to get things done." Moorestown, Napolitano adds, has "momentum"; the township does not need dramatic change, she says. She wants to continue to bolster commercial districts, such as Lenola's, and assist business development by streamlining the permit process. "Creative solutions" can result in bipartisan agreement, which "can happen at the township level," she says. "Because we're all neighbors."